Used Skoda Octavia Review - 2013-present | What Car? 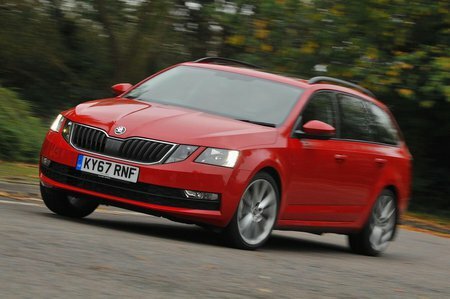 What's the used Skoda Octavia estate like? It might not look like it’ll set your heart on fire, but the Skoda Octavia Estate is probably, in the real world, one of the best all-round cars you can buy. This modestly priced, well-built and eminently practical car is based on a stretched version of the platform used by its classy Volkswagen Group siblings, the Audi A3 and Volkswagen Golf, and gives you the solidity and design detail you'd expect allied to a vast and cavernous interior and boot. The Octavia Estate's engine range includes a 113bhp 1.0-litre petrol, a 148bhp 1.4-litre petrol (since replaced with a 1.5-litre), a 113bhp 1.6-litre diesel and a 148bhp 2.0-litre diesel. More explosive vRS versions are also available, in both petrol and diesel forms. There’s a choice of trims, too, starting with the entry-level S, and topping out with the equipment-laden Laurin & Klement. 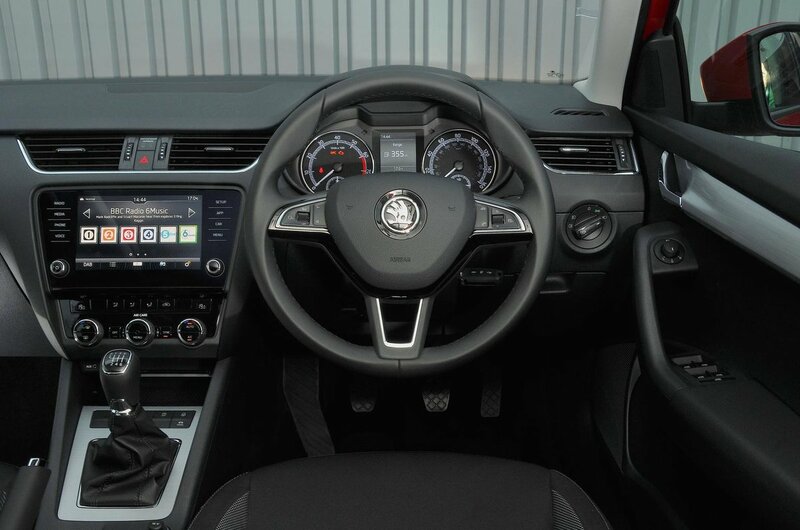 The mid-range version are the most popular, though, especially the SE, SE Technology and SE L. The former comes with dual-zone climate control and front fog lights, while SE Technology adds an upgraded touchscreen sat nav and, in later cars, automatic emergency braking. SE L, meanwhile, adds snazzier Alcantara seat trim and privacy glass. Inside is where the Octavia plays its trump card; there’s a surfeit of head and leg room, and in the boot, more than enough luggage room for a family. Indeed, you'll find more space inside an Octavia than you will in most estate cars of its size. Out on the road, there's plenty more to like. All deliver plenty enough performance for most drivers, although the larger engines are more flexible and better-suited to motorway work. The 1.0-litre petrol engine is surprisingly peppy around town and can easily keep up with most traffic, while the 1.4 TSI 150 petrol is smooth and quick, as is the later 1.5 version. All the diesel options deliver good low-down punch and balance that with better economy. The Octavia's ride isn't quite as smooth as that of the Golf, but it's still very comfortable, and heaps better than many rivals'. And while it's no sports car, it nevertheless handles very tidily; responsive steering and well set-up suspension mean the Octavia changes direction fast and always feels composed, and there's more than enough grip on offer too. A facelift in 2017 brought a more distinctive nose with quad headlights, though there were few other design changes. More equipment was added to each model, though, while the 1.2-litre and 1.4-litre petrol turbos were replaced by 1.0-litre and 1.5-litre engines respectively. A so-called Scout version, with a chunky body kit, a 30mm raised ride height and four-wheel drive, is also available with the 2.0-litre diesel engine in two power outputs (the higher one reserved for the DSG automatic gearbox). Seldom will you encounter a car that offers such space and practicality, such easy-going refinement and such superb value for money as a used Octavia. Read on for the full low-down on one of our favourite estates.